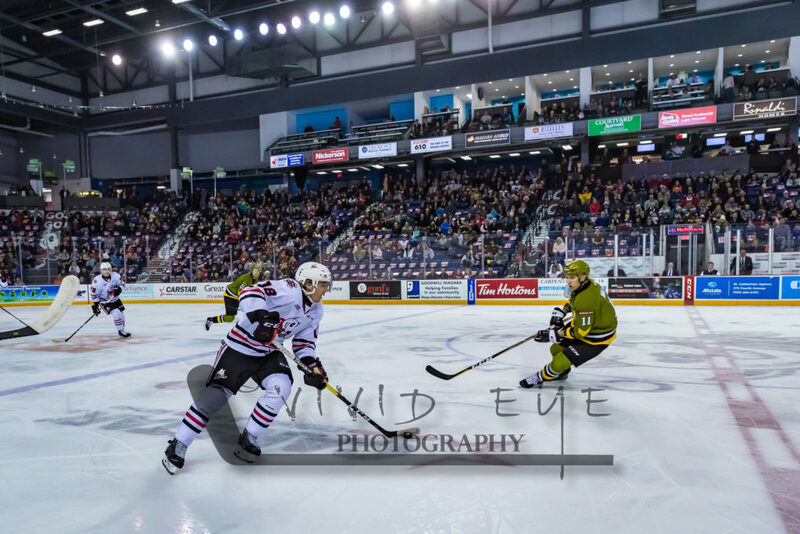 The IceDogs returned to action Sunday afternoon in Game #68 of the regular season against the Battalion. Although Niagara clinched a spot in the playoffs in mid-February, positioning was on the line coming into this game, making it all the more important heading into the post-season. The ‘Dogs came out flying, knowing how important this game would mean to their post-season. Niagara scored five first-period goals from Ben Jones, Ivan Lodnia, Philip Tomasino, and Bradey Johnson, who scored two goals two minutes apart from each other. North Bay capitalized to score one goal in the period. 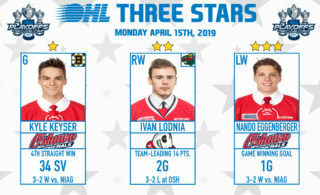 Although the shots favoured Niagara 16-10, the game seemed to favour the IceDogs, who took advantage of opportunities given to them by the opposing players. The Battalion scored the first goal of the 2nd period to cut the Niagara lead down to 3-goals. Seven minutes later, Jason Robertson scored his fifth goal in three games to re-establish the 4-goal lead. Robertson and Johnson skated into the offensive zone during 4 on 4 hockey on a 2 on 1, where Jason sneaked the puck in between the goaltender and the post. Niagara held the 6-2 lead heading into the final period of regulation in the 2018-2019 regular season. Akil Thomas added a goal next to his name on the scorecard a minute into the period on a power play! The newly signed LA Kings prospect scored his 38th of the season with a backhander in tight. A few seconds later, Elijah Roberts took control of the puck in the offensive zone and danced in, relatively unnoticed, wiring a shot into the back of the net to extend the IceDogs lead to 6-goals! The lead was cut down to 5, as the Battalion scored a power play goal of their own. 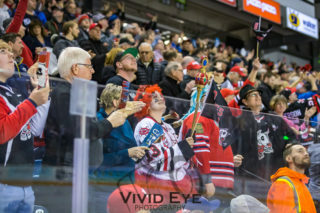 The IceDogs’ 8-3 lead held as the final game of the 2018-19 regular season came to an end in North Bay! With the win, Niagara has secured 2nd place in the Eastern Conference, and first place in the Central Division! 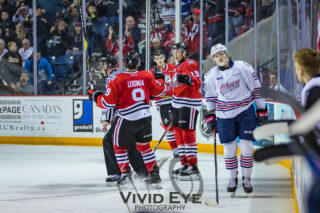 The IceDogs will be facing a lot more of the Battalion, as they match-up against each other in the Eastern Conference Quarter-Finals beginning Thursday. 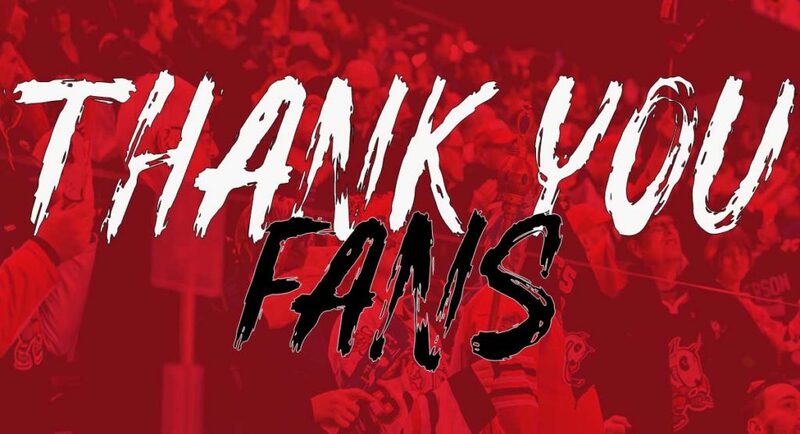 The next time the IceDogs see fans at home is during the first round of the playoffs, on Thursday March 21st and Saturday March 23rd.